The card counting system (method/technique) definition may be formulated in the following way - a math based system of card traces memo. Now let's explain in details. Imagine you are a card counter. And you play tournament blackjack alongside with 6 other blackjack players and the dealer rules it all. Thereby you principal aim is to memorize all the card values were dealt for each player + the dealer cards, and figure out the quality of cards which are still in the deck. Thus you provide yourself with ability to vary your game strategy and bet sizes in accordance to your count. If the count is negative (the majority of big-value cards already left the deck) then you play more cautious and bet less money. The positive count (the majority of small-value cards have been already dealt) allows you to play more aggressive and increase your wagers. The more small cards have already been dealt - the stronger player initial hand is. The only way to succeed in card count mastering is to practice this technique as hard as it possible before you occupy the casino table. Be a consistent learner and the efforts of yours will be rewarded. We advise you to start your card counter career with Hi-Lo or KO system study. These methods are reckons to be the basic ones and the most acceptable for beginners. 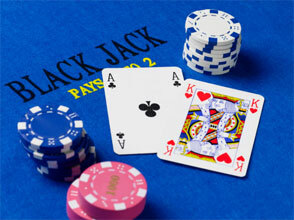 Also it must be pointed that any of CCS is used in tight liaison with the basic blackjack strategy. So you should learn the strategy charts first and only then start card count study. In addition the Internet offers you a great variety of learning programs and games to train your count skills online with no limits. The law provides no restrictions for card counting systems usage. But this fact doesn't free your hands really. By-turn the casinos obtain the private property rights. This legal point allows them to depart any unsuitable person out of the building openly and with ease. The unsuitable person means the card counter no doubt. As the casinos firstly protect their own rights and interests - be sure they do not permit the card counter or some other cheat to rob their money storage. Yes, you don't mishear - the gambling houses put equal sign between the cheat and card counter. The casinos possess numerous ways to catch you up using the man-power resources and hi-tech devices both. First they may warn you. Then they just show you the door. And the cheat recurrent employment may lead you to life ban in the casino you get caught.